Linux is a great operating system, but it does not have as large software portfolio as Windows has. Even if you can find most of the alternates to Windows software, you might still miss some. So, there is a way to run Windows software on Ubuntu or other Linux based desktop. You can use WINE for this. WINE stands for “Wine Is Not An Emulator”. It provides a Windows compatibility layer for Linux. So, you can install, run and configure many Windows software on your Ubuntu desktop. Not all software can run on WINE. So, you need to find out if a software is compatible. To know this, you can visit Wine AppDB. There are currently 24500+ Windows software that Wine can run. You can use this command to install Wine on Ubuntu, Debian or Mint. You can also visit the Ubuntu Software Center to look for Wine. You will see both beta and stable version there. Install the stable version to run WINE without any issue. 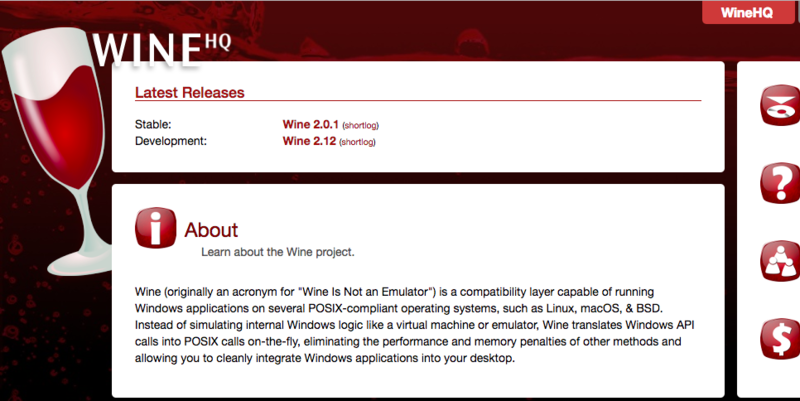 Once you have installed Wine on your Ubuntu system, you can download an ESE or MSI file and double click on it to run. You can also right click and select Open With Wine Windows Program Loader. Wine also comes with Wine tricks that let you automate some tasks. Not just normal applications, you can also run several Windows games, Wine supports both DirectX and OpenGL games. Wine is not a new concept. This project was started back in 1993 to run Windows 3.1 programs on Linux. With newer versions of other Unix operating systems have, this project also became better to support more Linux based systems. If you want to run Windows applications on Ubuntu system, try installing Wine and see how it works.